Hi all! We are sure that everyone is still reeling from the recent victory at our polls this last month. 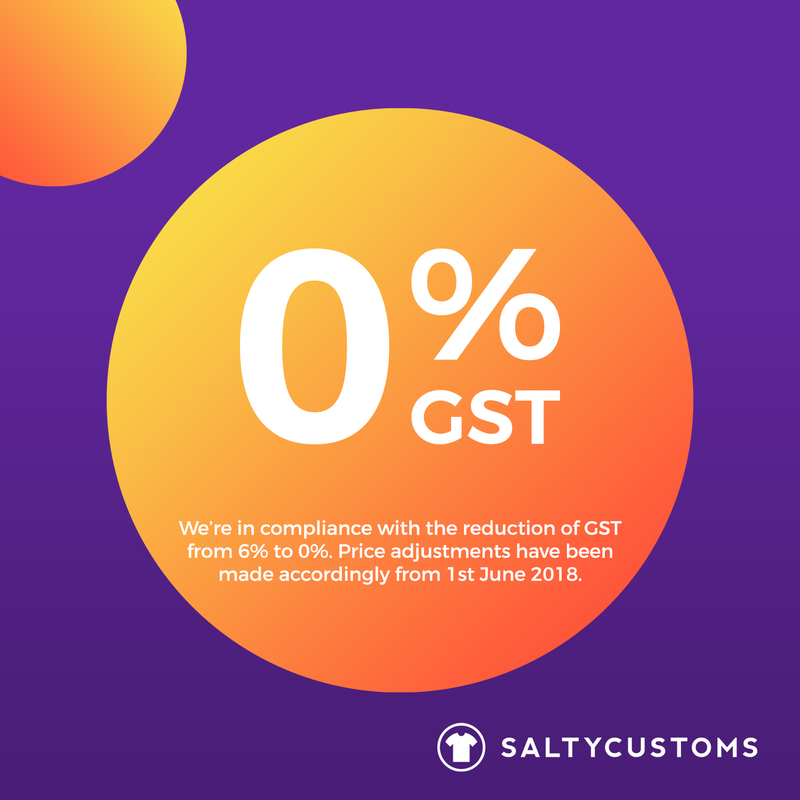 In accordance with the new Malaysian government lowering the GST from 6% to 0%, we wanted to let you know that we have readjusted our prices starting today! Head on over to http://bit.ly/saltybulkorder to start ordering custom apparel for your team, companies or group of companies today. With our in-house design team, global logistics partners and factory capacity of more than 80,000 pieces of apparel monthly, we are the end-to-end solution for all things corporate apparel! With our smart sizing platform that helps you consolidate sizes and save cost by ensure over-ordering is eliminated, ordering custom apparel has never been easier! Contact us by visiting this link to get in touch with our talented Apparel Consultants today!